Travelling in an RV? We hope you enjoy your visit to Wagga Wagga. Here's some information we think you'll find useful. Is there anywhere I can stay for free in my RV? Yes, Wilks Park is free for self-contained RVs for stays of up to 72 hours. It has a free dump point and access to potable water. Not far from the centre of the city, Wilks Park is located on the northern side of the river, on Hampden Avenue, Wagga Wagga. There are also numerous river reserves located along the Murrumbidgee, both east and west of the city. Alternatively, the city has 6 caravan parks with a mix of powered, unpowered and ensuite sites. Head over to our Stay page for more details and contact each property for tariffs. 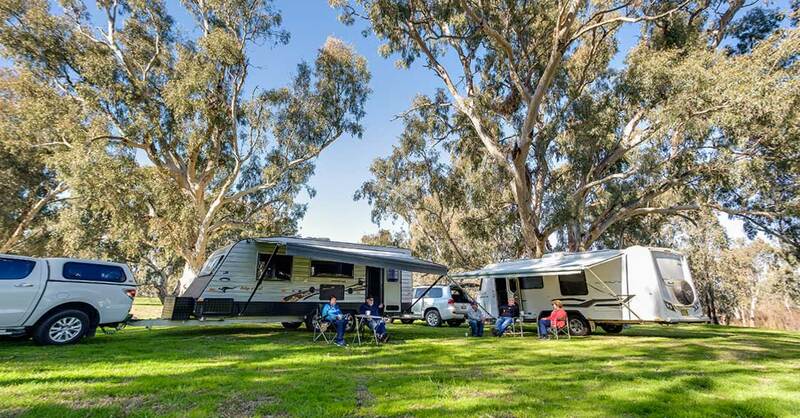 Where can I park my RV close to the centre of Wagga Wagga? Are there any dump points in the area? There is also the Wagga Wagga Showground in Bourke Street, however a small fee applies.